The latest issue of the London Review of Books has a page listing a few of the many books which have used trains as a setting for adventures of different kinds. In the UK and Europe where trains, both long and short distance, have been an integral part of life for a century and a half, this is no surprise. 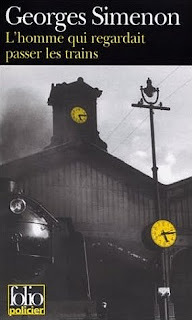 Charles Dickens' classic ghostly short story The Signalman is well known as are the railway settings of several Agatha Christie and Georges Simenon detective novels, while Emile Zola's Rougon-Macquart cycle has been adapted for the screen several times, most famously in La Bete Humaine from 1938. Other books the LRB lists are Closely Observed Trains, turned into an Oscar winning Czech film in 1966, while non-fiction includes Death Ride from Fenchurch Street and other Victorian Railway Murders by Arthur and Mary Sellwood, books about real haunted trains, and travelogues by the likes of Ian Marchant, Matthew Engel and of course, the notorious Paul Theroux. Closer to home there is Australian Colin Taylor, whose Traincatcher was published by us in 1996. As these popular (as distinct from technical-historical) books tend to be stocked by big 'mainstream' bookshops, we tend not to compete with the same stock, although we carry some of them.